The swatches above were applied with a disposable lipgloss/lipstick applicator. With fingers or with a brush, these eyeshadows go on a lot more sheer and appear like soft washes of color which can be built up to look more intense. 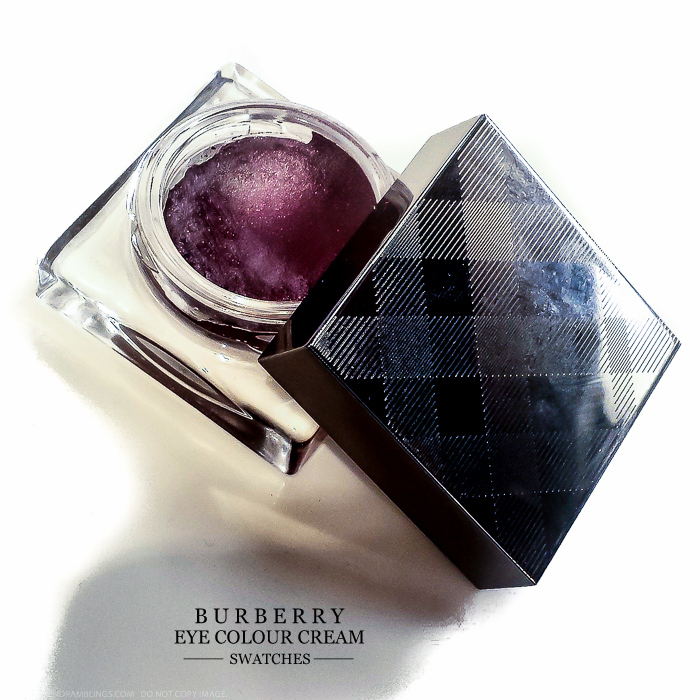 They can also be used in combination with other eyeshadows to intensify and add dimension to the eye makeup look. I loved the colors, perfect neutrals, and the beautiful plum-purple Damson. 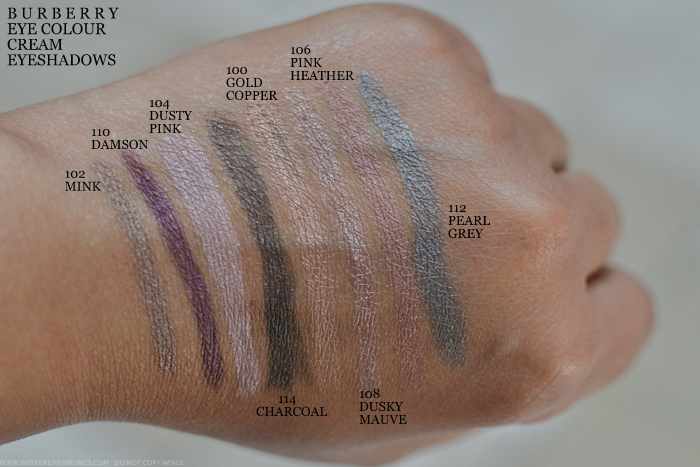 I haven't tried these out myself - generally, cream eyeshadows don't perform too well on my oily eyelids - but Christine's (Temptalia) has a detailed review on two of these colours. Do check.